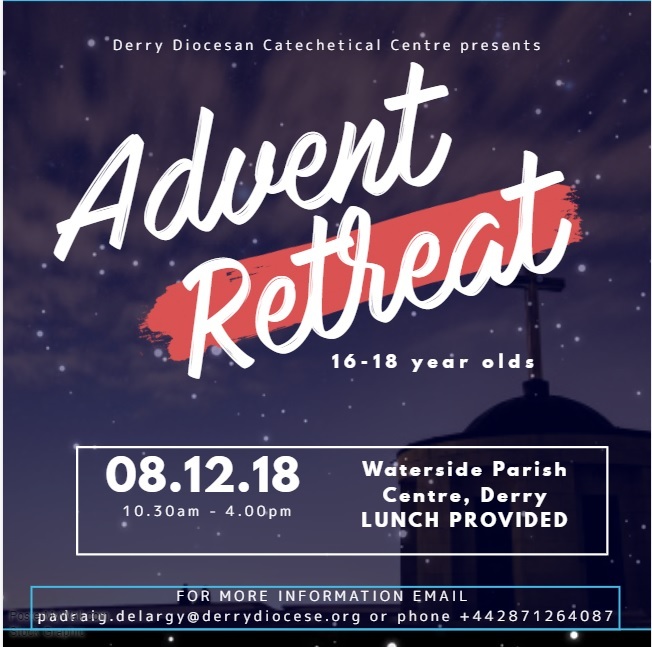 ADVENT YOUTH RETREAT hosted by the Diocesan Youth Ministry Team, will be held on Saturday 8th December, in the Waterside Parish Centre, Chapel Road, Derry, 10.30am-4.00pm. Open to all young people aged 16-18 years of age. Those completing the Pope John Paul II Award are particularly welcome. A range of fun and faith activities planned. Lunch also provided.